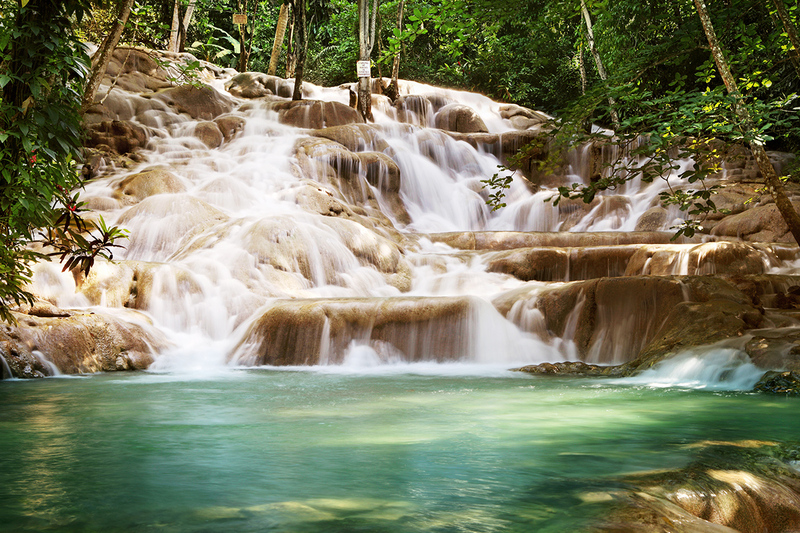 The Caribbean’s second largest island, Jamaica, offers so much more than its legendary sugar sand beaches. From the peaks of the lush Blue Mountains to the cascading torrents of Dunn’s River Falls to the stunning clifftops that surround Rick’s Cafe the island is rich in natural and cultural adventures. So, it’s no surprise that over time this tropical oasis has earned itself the title of being the ‘Home of All Right’. We asked five bloggers about their favourite adventures in the Home of All Right. The birthplace of reggae, for many people a visit to Jamaica is not complete without learning more about the island’s unique musical heritage. 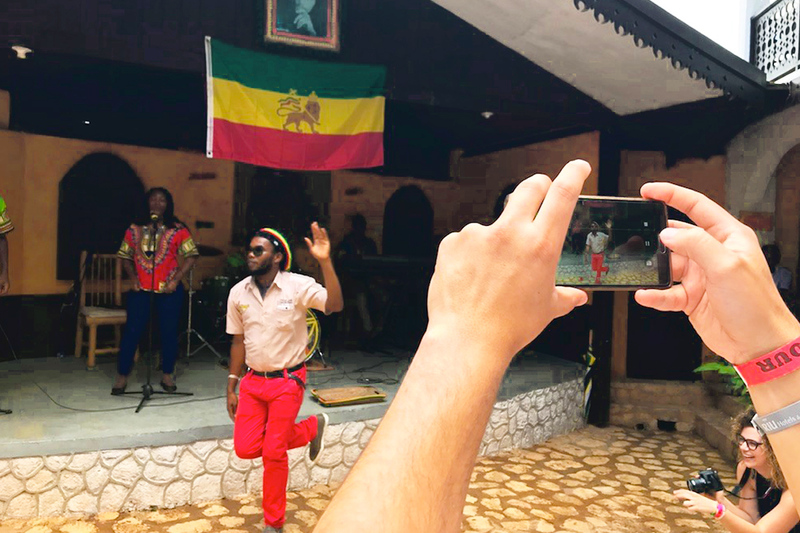 Travel writer and adventurer Marc Smith of 30 Day Adventures vividly recalls from his day excursion to Nine Mile Village, the birthplace of reggae legend, Bob Marley. Marc stayed at Riu Reggae. Set on its own tranquil beachfront surrounded by an extensive pool complex with swim up bar and featuring several à la carte restaurants plus an elegant spa it was the perfect place to unwind after a day of discoveries. Many think you can’t combine beachfront luxury with family fun. Design expert, travel enthusiast, TV personality and mother teens and tweens, Amanda Forrest, found her stay at Melia Braco Village to be an excellent balance of the two. Combining luxurious amenities with children’s entertainment is an up and coming trend in Jamaica. Recent additions to the lineup of upscale resorts that cater to families are Royalton Negril and Sensatori Azul Beach Jamaica. While the beaches may be tempting, travel journalist Francesca Spizzirri of Travelista73 discovered that Riu Palace Jamaica was the perfect resort from which to explore the island. "There were so many exciting excursions to choose from! Enjoy word-class golfing amidst lush green mountains and the Caribbean Sea, a sunset catamaran cruise, climb Dunn's River Falls, take a mystical journey to Nine Mile to see the birth and final resting place of Bob Marley, or set sail along the stunning white sands of Seven Mile Beach with a stop at world-famous Rick's Cafe for a postcard-perfect view of Negril's magnificent sunsets set above cliffs overlooking the turquoise waters. The choice is yours!" Back at the resort, the spa, extensive pool complex boasting three infinity pools and varied à la carte restaurants offered the perfect location for a ‘rest day’ in between all those island adventures. 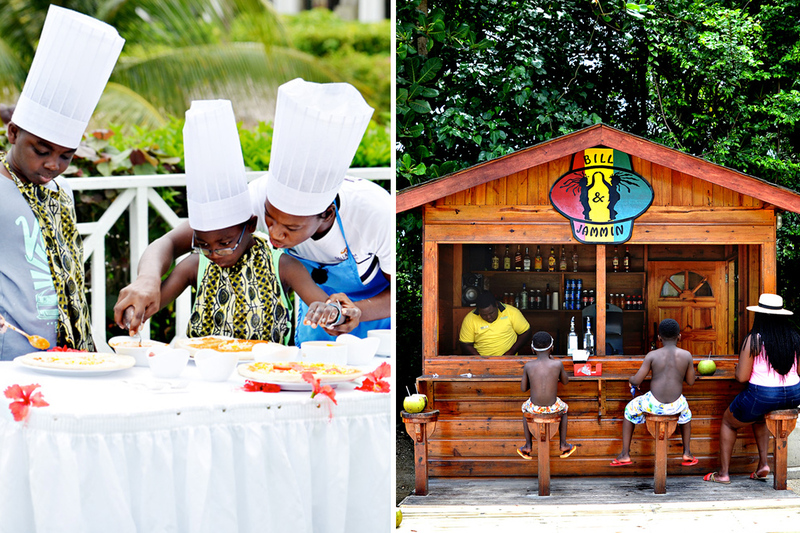 When it comes to family vacations for fashion/travel blogger and mother of two, Assa Cisse of My Curves and Curls found Jamaica served up more than enough entertainment for her and her two boys. "Jamaica! Jamaica! Jamaica! You were everything I imagined and then some. 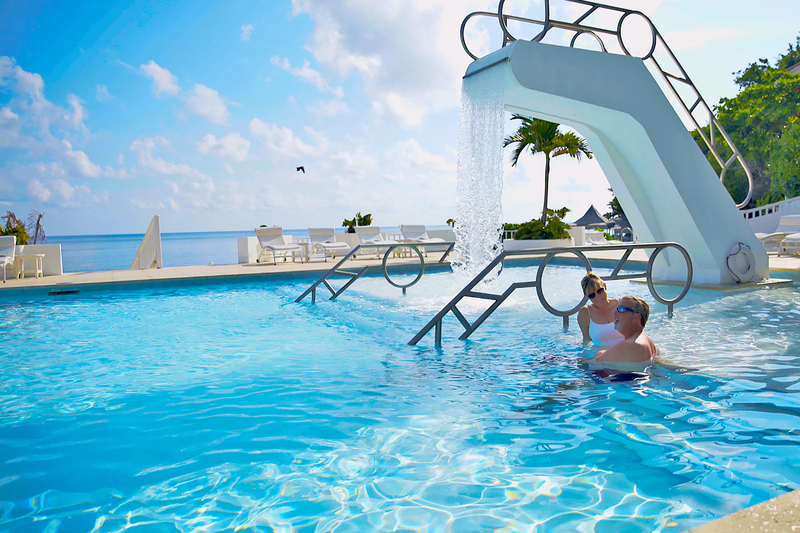 When we travel with the kids, obviously finding a family-friendly resort is a priority and Grand Palladium Lady Hamilton Resort & Spa was just that. Let’s just say you will not go hungry, thirsty, or bored during your stay here! The kids could meet and dine with fun characters from the TV series, The Raggs; they absolutely loved the water park and its slides, and they really got into activities like mini-golf and making their own pizza! And if I needed a bit of me time, the kids clubs are supervised so I could enjoy a couple hours at the spa knowing my kids were safe and having a blast. It’s a hard feeling to describe but being there just feels right." You can check out this video to see more about Assa's trip with her family at the beautiful Grand Palladium Lady Hamilton Resort & Spa. Other family-oriented resorts in Jamaica with thrilling water parks include Royalton White Sands and Jewel Runaway Bay Beach and Golf Resort. From candle-lit dinners on the beach to watching the sun set on a catamaran cruise, Jamaica is full of options for couples and newlyweds. Travel blogger and mother of teenage girls, Candace Derickx of Life in Pleasantville, discovered the romantic ambience during her recent stay at Couples Tower Isle. "Romantic escapes can be few and far between; the goal then when planning a getaway is maximum romance with minimum stress. We recently had the opportunity to visit Couples Tower Isle in Ocho Rios and they delivered on both counts. From romantic bonfires on the beach with accompanying guitarist, to a gourmet dinner for two overlooking the ocean, to a secluded beach where we let all our cares slip away, Tower Isle gave us the opportunity to connect without distraction. Our workaholic stress levels were expertly kneaded away at their award-winning spa and the Buddha Pool was the perfect place to find our ohm. This was our third visit with Couples, and now the only struggle is which one will we return to next?" Inspired? 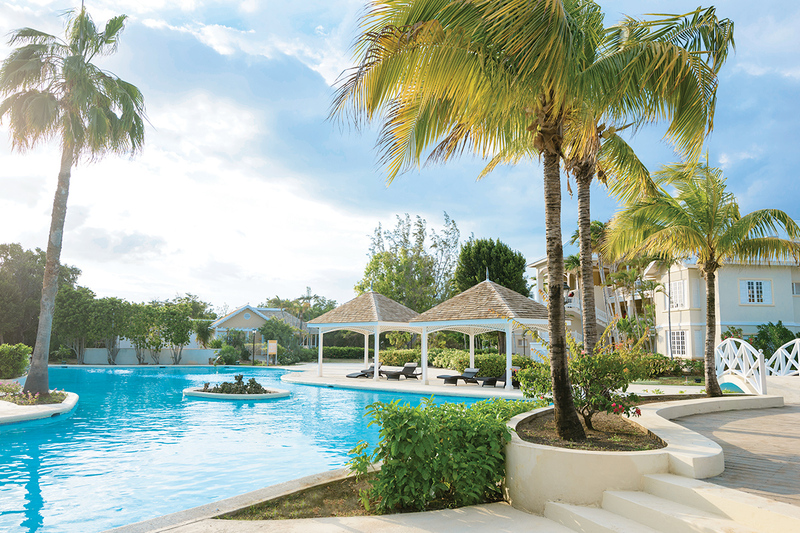 Other romantic hideaways in Jamaica include Secrets Wild Orchid Montego Bay, Jewel Paradise Cove Beach Resort and Spa and Hideaway at Royalton Negril. Feeling Inspired? Click here for more ideas!